Chicago is a crossroads, a second city, a chance at a new life. Some people think that the Second City moniker is about being second in size to New York or Los Angeles, but it refers to the city being a second iteration of itself because a large portion of the city burned down in 1871 and was subsequently rebuilt. In reference to size, Chicago is 3rd after New York and Los Angeles; however, Chicago has a character all its own. Indigenous people, colonizers, descendants of slaves and people looking for a fresh start, live here. Running errands in the city, I travel through communities of peoples who identify as Latinx, Hasidic, South Asian, and European. Riding the bus or the “El” train, I regularly hear, Spanish, French, English, and Amharic spoke. While the city is plagued by racial segregation, economic inequality, and political corruption, there are cultural interactions that I never imagined. There are gestures towards justice happening in this town, the questions around movements are more – how and when — then – if – we can do it. Anne Mitchell, Ph.D. teaches at DePaul University in the departments of Women’s & Gender Studies and African Black Diaspora Studies. Her work primarily focuses on Black women, queer people, feminist theory, and the African American Civil Rights movement. And she is currently working on a manuscript titled Civil Rights Subjectivities and Black Autobiography. Her interests also include popular culture, Beyoncé, and the WNBA. Everybody knows Chicago. But what do they really know about Chicago? People in Chicago were stunned by the announcement that their city was out of the running for the 2016 Olympics after just the first round of voting. Everyone had expected a positive result, particularly after Chicago son Barack Obama got involved. Was it Chicago’s reputation for corruption and strong-arm tactics? If Chicago had been announced as the victor, it may have looked as though the committee bowed to pressure. 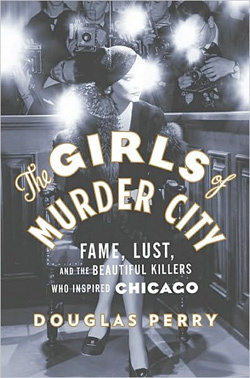 Or maybe it was the fact that the world does not seem to know what to make of modern-day Chicago. The Olympics were going to be Richard Daley’s legacy: the reintroduction of Chicago to the international community. 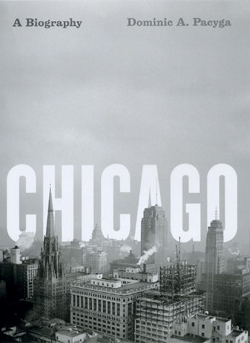 Chicago: A Biography by Dominic A. Pacyga. 472 pages. University of Chicago. $35.